Couture Landscapes is a service oriented Oakville landscaping company with a commitment to excellence unparalleled in the industry. We provide top quality at fair prices and offer the expertise of a large landscaping company while also retaining the excellent customer service of a small business. Our owner – Rob Couture – along with a committed and dedicated staff, have built a business that specializes in landscape construction, landscape design, irrigation systems / drainage and outdoor life spaces. We primarily service the South Etobicoke, South Mississauga, Oakville, Burlington and Milton areas. Our Oakville landscaping company has grown over time to become one of the areas’ premier installer of custom landscapes and hardscapes. Our commitment to excellence has evolved into the largest and most often referred landscaping companies in the Greater Toronto Area. 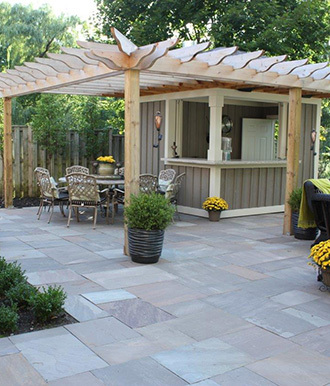 Contact Couture Landscapes today to learn more and schedule a consultation!